Occipital nerve blocks utilizing local anesthetics and corticosteroids have been employed successfully in the management of a variety of headache disorders. Clinicians may perform occipital nerve blocks for both acute and preventive therapeutic benefits. The procedure can be easily performed, is of low risk to the patient, and provides rapid pain relief. The duration of the pain relief is variable, but typically weeks to months in length. 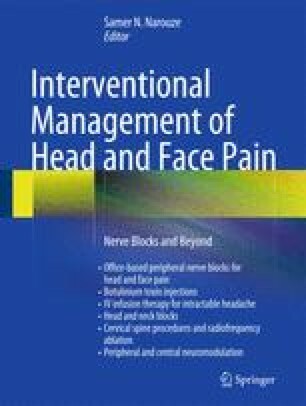 Various techniques are used in clinical practice, and recently a consensus statement from the Interventional Procedures Special Interest Section of the American Headache Society was released. Correctly performing the procedure will allow rapid relief of head pain and the patient’s return to function.